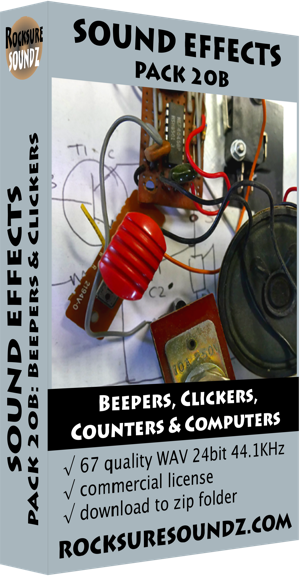 Sound Effect, Pack 20B Beepers, Clickers, Counters & Computers. This pack has a range of high pitch beeping sounds such as you might expect to find in a movie where numbers and letters are scrolling across a computer screen, through to computer keyboards and mouse clicks. It also has ticking number counters, and a few clickers and switches as well.